The Language of this Week is Chinese! 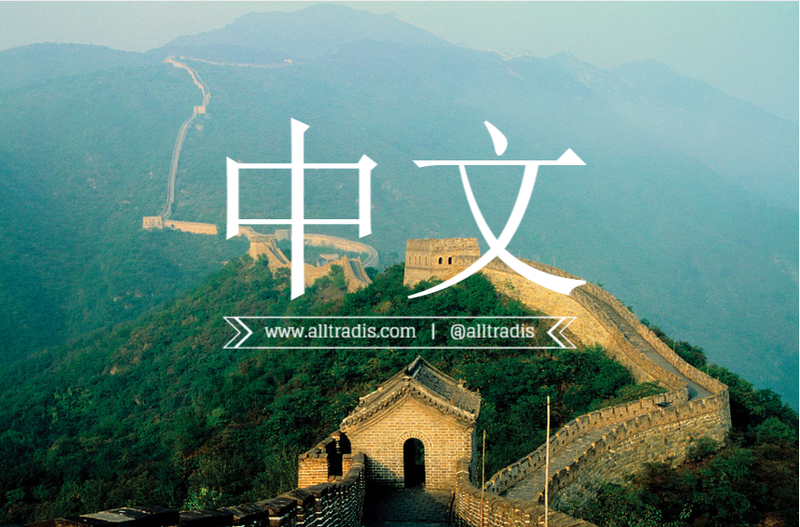 It is estimated that over 1 billion people in the world speak some form of Chinese: Other than being the most spoken language in the world, it is also one of the more difficult languages to learn. This will forever be my excuse when asked why I never managed to master the language. Although Chinese is my first language, I am a little embarrassed to say that I am not fluent. This does not mean that I didn’t spend hours and hours after school and on weekends devoting my time and effort to the language. So let me give you a quick introduction on the language. For starters, chinese is separated into Cantonese and Mandarin, Cantonese is written in traditional characters and usually used in Hong Kong and other parts of southern China while Mandarin is the more dominante language in China and written in simplified characters. Traditional characters tend to be more complex than simplified. Each letter or combination of letters in a box is called a pinyin, and every pinyin can be pronounced using 4 tones. And with the pronunciation of each tone, there are many possible characters that have are pronounced using the same tone. However, for mă, it can also be written in a different character. This does not only apply to this sole character, there are many characters in Chinese that are pronounced in the same tone but have different meanings. The different tones are difficult for new beginners to learn as the intonations are very close in sound and a slight change can completely change your intended meaning. Sì shì sì, shí shì shí, shísì shì shísì, sìshí shì sìshí, sìshísì zhī shí shīzi shì sǐ de. Four is four, ten is ten, fourteen is fourteen, forty is forty. Forty four stone lions are dead. After mastering pinyin, next comes learning how to write the Chinese characters, which when written correctly are very beautiful. Through learning the construction of the characters, you will also be able to gain insight into the Chinese mind. It is said that a person needs to memorize 2000 Chinese characters in order to be able to read a Chinese newspaper, which is far less than the 4000 english words required to read a newspaper. As you all know, there are many lessons to be learnt from Chinese proverbs, so with this, I leave you with one that will hopefully motivate you to start your journey in whatever you choose.